Welcome, one and all, to our monthly Manhwa & Manhua shout-out! Looking for a new series to read? Curious what the heck Manhwa and Manhua are? We've got you covered. 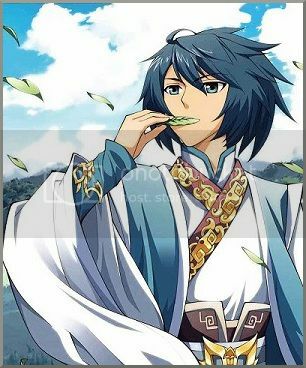 Manhwa and Manhua are a lot like Manga but they come from South Korea and China respectively; and carrying the added benefit of usually being in color. Sound interesting? 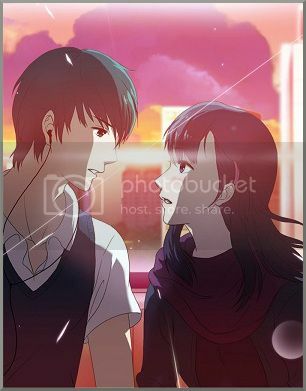 Good, because today we present to you three Manhwa from a variety of genres for your reading pleasure: DICE, Doupo Cangqiong, and Orange Marmalade. Learn about each series and see where you can start reading and discussing them below. Where to discuss: Our DICE community thread. Sometimes life deals a person a bad hand. Dong Tae was born with one of those. Unattractive, awkward, weak, bad at everything. He lives his life without hope, wishing that he could be reborn as someone else. But that changes when he discovers the existence of dice that allow him to become smarter, stronger, or more attractive; given out by a mysterious cellphone app for completing whatever task it gives. But will this game be his salvation or damnation? This is a story about how far people would go to make themselves "better". What price would you be willing to pay? What price would those around you be willing to pay? Would it be worth it in the end? These are the questions that drive DICE. At the core of this series is Dong Tae. He's as likable as he is pitiable and you won't get far into DICE before wanting to give the poor kid a hug. He goes from a person desperate to not be himself to a person desperate to do the right thing. His lot in life is never easy and that sense of a desperate struggle defines what this series is. 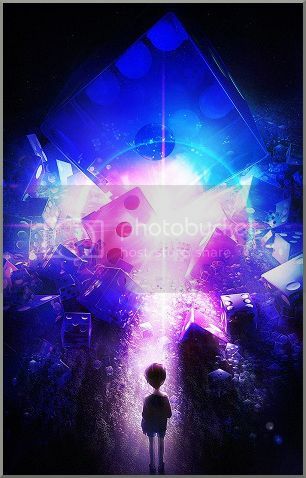 If your looking for a psychological drama with some strong allegorical undercurrents, you'll find it in DICE. Where to discuss: Our Doupo Cangqiong community section. In a world ruled by the strong, Xiao Yan is weak. As a child he was considered to have untold potential but in the past three years his power has all but vanished along with his status and reputation. Then, one day, when he's at his lowest, he hears a voice coming from his late mother's ring. The voice of a ghost, Yao Lao, who promises to teach him to be the man he always aspired to be. This story is a Chinese take on shounen coming of age adventure. It embraces the best aspects of the shounen genre, delivering all the action and adventure we've come to expect, while mixing in Chinese mysticism to give the series it's own distinct style. That style stands out most in the form of its magic system. Which varies from classic systems by having characters get stronger through the use of medicines made from rare ingredients. The hunts for these ingredients adds a great deal more adventure and fun where other series are bogged down by training arcs. As Xiao Yan goes on these adventures he also meets more and more interesting characters. Filling out a diverse cast of friends, enemies, and love interests that could hold their own in quality against just about any shounen out there. So, if you're still feeling the itch to find a series to fill that Naruto void, don't let this one pass you by. Where to discuss: Our Orange Marmalade community thread. In a world where vampires have come from the shadow out into the light, no longer feed on humans, and live very normal lives. Mari is a vampire trying to pass for a normal high school girl and avoid the prejudices against her kind. Her plan hits a bit of snag when she finds herself mysteriously drawn to the blood of one of the most popular boys in her school, Jaemin. This is a sweet story about young love, high school life, and overcoming fears and prejudices. There is a lot to like Orange Marmalade. Mari is one of those fun characters that's cold on the surface but becomes completely adorable when flustered and her mistrust of humans provides a good dramatic barrier for her to overcome. She's trying to convince herself she doesn't want friends and naturally her school life just won't cooperate; especially with Jaemin who has a few quirks of his own. So, if you're looking for a slice of life high school romance this is a story you should definitely check out.